Amaterasu is the highest level Fire Release technique, and is noted to be one of the Uchiha's strongest fire based ninjutsu which stems from their dōjutsu. It is said to represent the "Material World and Light" (物質界と光, Busshitsukai to Hikari), the antipode to Tsukuyomi — a genjutsu of similar power and a fellow Mangekyō Sharingan dōjutsu. Use of the technique puts a great deal of strain on the user, usually causing his eyes to bleed. The jet-black flames of the Amaterasu, said to be "the fires from hell", is also said that they are as hot as the sun, ignite at the focus of the user's vision. Though the flames have been stated to be unavoidable, Amaterasu has been avoided a few times; this can be due to a higher level of speed then the flames or techniques designed to boost speed such as the Lightning Release Armour. The flames are capable of burning through mostly anything in their path, even smothering regular fire techniques with ease. Amaterasu is said to never stop burning; even when whatever is caught by the Amaterasu is completely reduced to ash or destroyed, it can still continue burning for seven days and seven nights. It cannot be extinguished with water or any other normal methods. However, the flames burn fairly slowly, sometimes allowing anyone struck by Amaterasu an opportunity to remove whatever clothing or body parts have been caught ablaze. The Rinnegan is able to deflect the flames from the body using Shinra Tensei. Seal masters are also able to seal the flames with the Fire Sealing Method. When Enton nature chakra is used the flames turn a mix of not just black but purple doubling in strength and speed however twice the normal amount of chakra is consumed. Tsukuyomi is noted to be one of the most powerful genjutsu in existence. It is unique to the Uchiha clan and only those who have awakened the Mangekyō Sharingan can perform it. It is said to represent the "Spiritual World and Darkness" (精神界と闇, Seishinkai to Yami), the antipode to Amaterasu — a genjutsu of similar power. Tsukuyomi requires eye contact to be performed, trapping the target within an illusion completely under the user's control. Itachi's prowess with the technique has allowed him to alter the perception of time with ease within the genjutsu to make a few seconds seem like many days as a means to torture the target. This results in the victim suffering psychological trauma that incapacitates them for a considerable period of time. Only the greatest medical nins have been shown capable of curing this psychological damage. The manifested world of the Tsukuyomi is of the users own creating changing with their will. A mere second in the outside world can be equal to twenty-four hours in the tsukuyomi world as such it normally last for seventy-two hours unless broken. In order to be broken one must have a chakra control higher then the users as well as a stronger perception then theirs. Such a powerful technique is not without its disadvantages however. Due to the complexity of the illusion and the quickness with which it is executed, an enormous amount of chakra is necessary and an added amount of stress is placed on the left eye, leaving the wielders vision more blurred. Requirements: Genjutsu, Uchiha Blood, Mangekyou Sharingan Unlocked, Mastered 3rd Tomoe Sharingan, 171 Chakra Control, 121 Chakra Reserves. Description:Susanoo, also known as the Tempestuous God of Valour (勇武の荒神, Yūbu no Aragami), is the third ability granted by the Mangekyō Sharingan to those who awaken the abilities Tsukuyomi — which symbolises the "darkness of the spiritual world" and Amaterasu — which denotes the "light of the material world". It creates a gigantic, humanoid being that surrounds the user. As one of the strongest techniques granted to those that have acquired the Mangekyō Sharingan, it is the user's guardian deity, but at the same time, it consumes the user's life. According to Madara, for a Sharingan user to activate the Susanoo is a rarity. Like the other techniques granted by the Mangekyō Sharingan, the user's eyes and body are strained while using Susanoo because it consumes a large amount of their chakra. Madara has described it as feeling pain in every cell in his body which only grew from prolonged use. Susanoo is formed through the materialisation of the user's chakra and as such differs in appearance as well as colour between users. 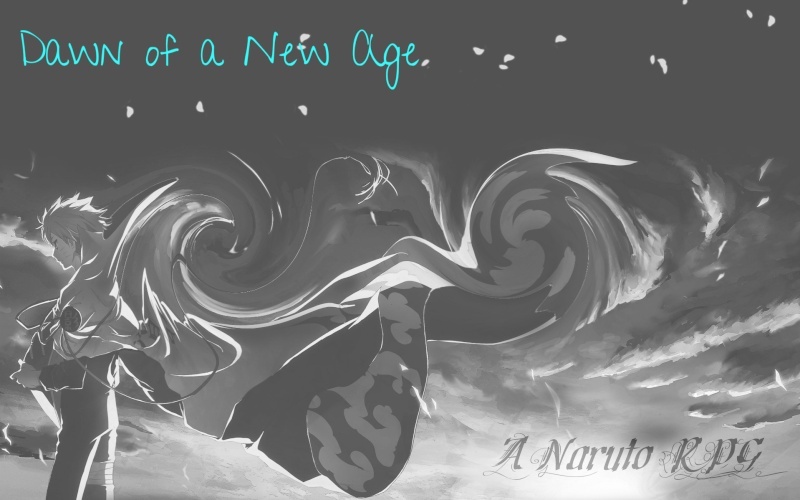 Even though it envelopes the user, they can move around within Susanoo freely and use techniques from inside of it, as well as manifest parts of Susanoo — as the situation calls for it. Despite Susanoo's impressive defensive capabilities, the protection it grants its user is not absolute. The user can be thrown out of the upper half of Susanoo by an enemy manipulating the substance underneath Susanoo. Also, a sufficiently powerful attack will still result in damage, especially during the technique's developmental stages after which the user is left open for attack. The only known ways to attack the user while Susanoo is active is either to draw the wielder out of the technique and then attack, bind and restrict its movements, or to break the defence with overwhelming force. Susanoo users are also vulnerable to attacks which don't actually deal physical damage to it, such as strong lights and sounds, that can also impair their ability to sustain Susanoo. The users are also still susceptible to such things as sound-based genjutsu. Each Susanoo goes through several different forms, which the user can switch between at will or even leave in a state between forms. The development of these forms was best demonstrated while the uchiha ares learning how to use the technique, gaining additional forms as control over it increases. In its earliest form, users can only manifest some of Susanoo's skeleton. A smaller version of Susanoo's ribcage is generally produced first which, while providing a good defence, can still be fractured or even melted. An arm can also be formed, which is sometimes connected to this ribcage, and can then be used to interact with the surroundings. It is also possible to utilise one of Susanoo's weapons using said arm and change its size as needed. When first forming, Susanoo manifests around the user like an aura. As users gain additional control, musculature and skin begins to appear atop of its bones, which progressively complete the full skeletal structure. It is only when Susanoo's growth is fully matured and thus, the user is completely surrounded, and the vulnerabilities of the skeletal form finally eliminated. However, it should be noted that Susanoo can also appear behind the user, instead of just surrounding them. The user can also change the size of it, depending on their skill, to fit the current situation. Eventually, Susanoo develops into a "complete" warrior-like form, where its skin, armour and final arsenal of weapons are manifested in their entirety. At this stage, it can anchor the user to the ground, preventing opponents from forcibly moving them unless they can get through Susanoo's various layers. In its final form, this fully humanoid shape is further surrounded by a secondary layer of armour that causes Susanoo to resemble a yamabushi. The Endurance of the Susanoo is equal to the users tolerance and endurance combined. Susanoo's Strength and Speed is equal to the users however by adding chakra this can be increased by the amount of chakra poured however to maintain this one constantly burns through their chakra faster equal to the amount added. Requirements: Ninjutsu, Uchiha Blood, Mangekyou Sharingan Unlocked, Mastered 3rd Tomoe Sharingan, 171 Chakra Control, 121 Chakra Reserves. Three magatama bound together by a single, circular thread that are created either between two of Susanoo's hands or from just one,which are then propelled towards the target as a single combined projectile. Requirements: Susanoo, Ninjutsu, Uchiha Blood, Mangekyou Sharingan Unlocked, Mastered 3rd Tomoe Sharingan, 171 Chakra Control, 121 Chakra Reserves.